The Xavelec Charging System – What do I need? There are three elements that make up the Xavelec charging system. You will need to source the Tesla 16A 3-phase red industrial power adaptor for the UMC directly from Tesla. Our range of adaptors will allow you to plug up virtually anywhere in Europe. 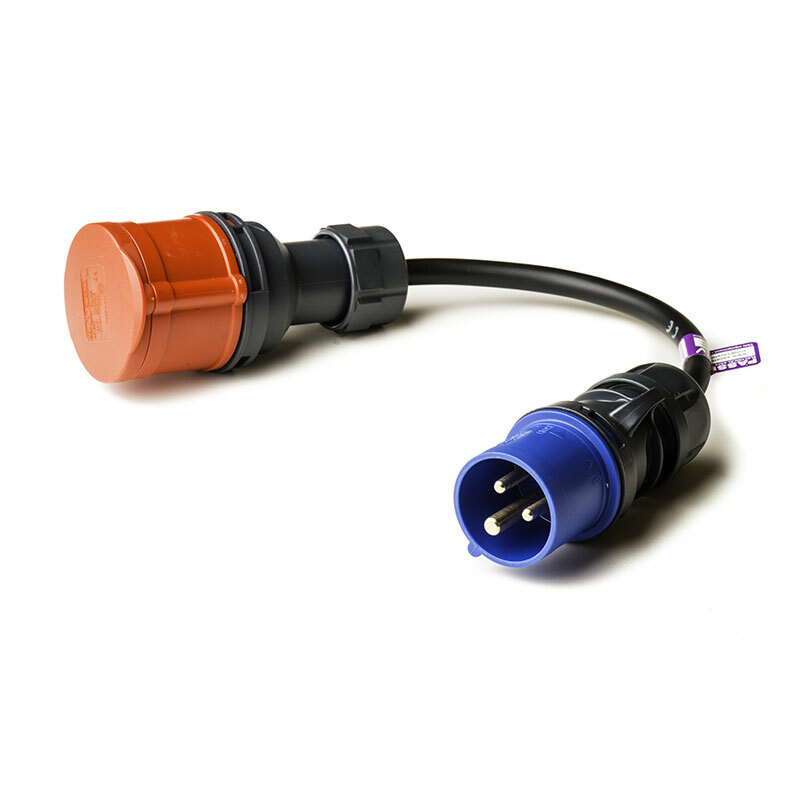 We offer two ranges of adaptors and extension leads for use with the UMC. 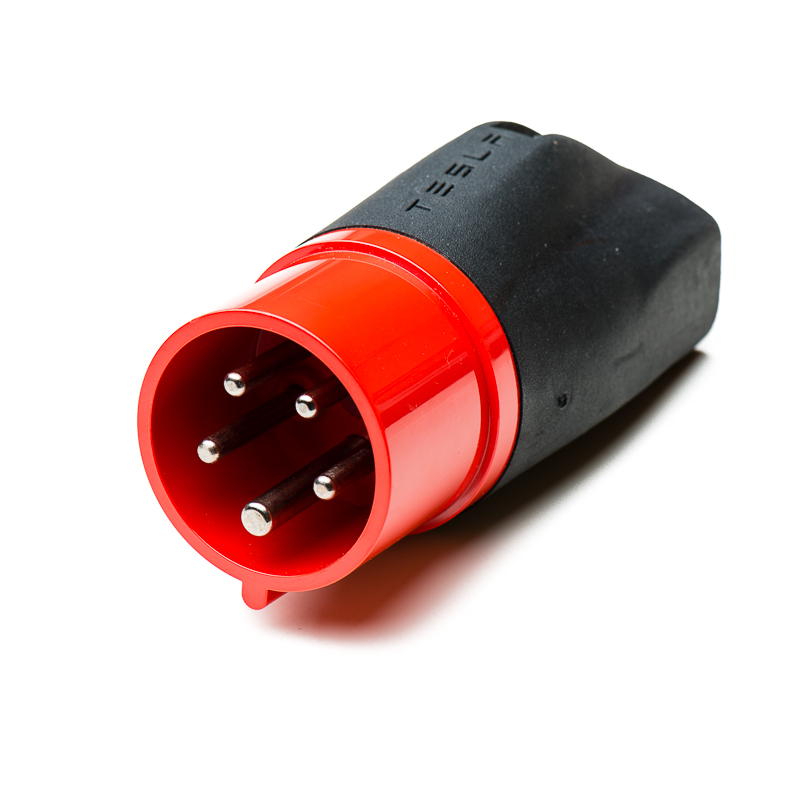 Both require the use of the Tesla 16A three-phase red UMC adaptor available from Tesla. The Standard range uses the IEC 60309 industrial 16A three-phase connectors. The Compact range uses a much smaller connector whilst still enabling the full 11kW 16A three-phase potential of the Tesla UMC. As well as being smaller, the Compact range is also fully waterproof so has no issues being left submerged in deep puddles. The table below summarises the key differences between both ranges. All of the adaptors are available in both ranges. 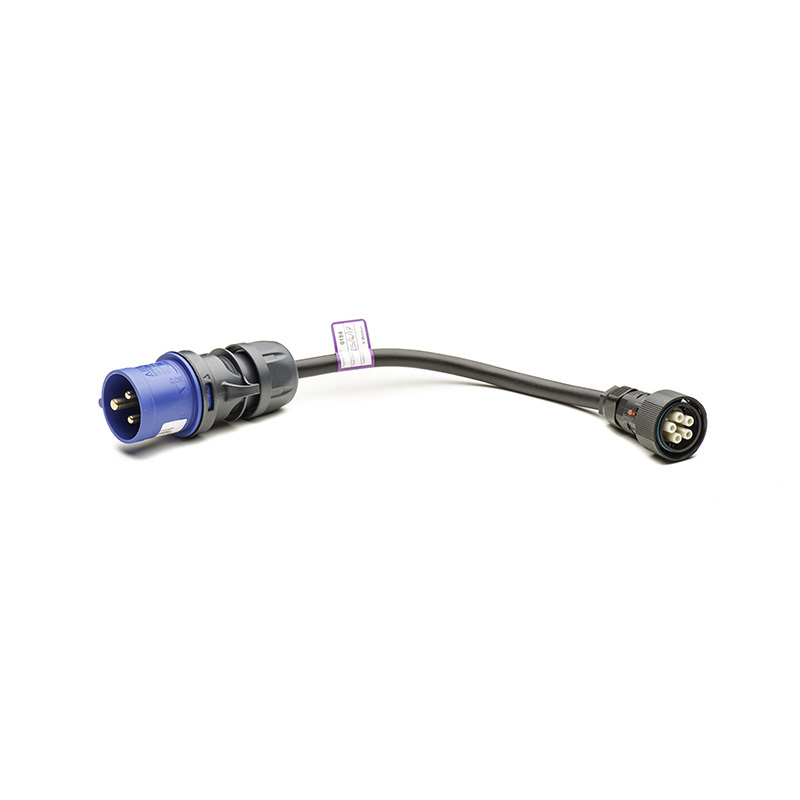 The Compact range does require a final adaptor to convert the Compact connector back to the 16A 3-phase industrial red connector to interface to the UMC. Whilst this does add another short adaptor lead, the Compact solution benefits from being letterbox-friendly compared to the normal range. In fact, the Compact range uses the same connectors as the ones used in our three-phase “letterbox” adaptor. You’ll need an adaptor to interface between the power source available (European Schuko, 16A blue Commando, etc) and the red connector of the UMC or extension lead going to the UMC’s red connector. We have a range of adaptors that will allow you to connect to just about any kind of power socket throughout continental Europe, availalble in both Standard and Compact formats. In addition to the adaptor you plug into the socket, we have a few adaptors that provide extra flexibility: the “letterbox” and the phase inversion adaptors. 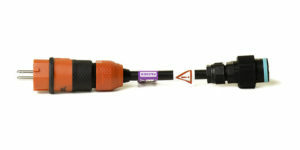 The letterbox adaptor isn’t required with the Compact range as the range is natively “letterbox-friendly” with the connector under 37mm diameter. Travelling through Europe – what do I need? If you plan to travel through Europe, there are multiple different types of domestic sockets depending on the country you are visiting, and sometimes, even several types of socket within the same country. The table below illustrates the plugs and sockets used in each country and which adaptor is required for each. 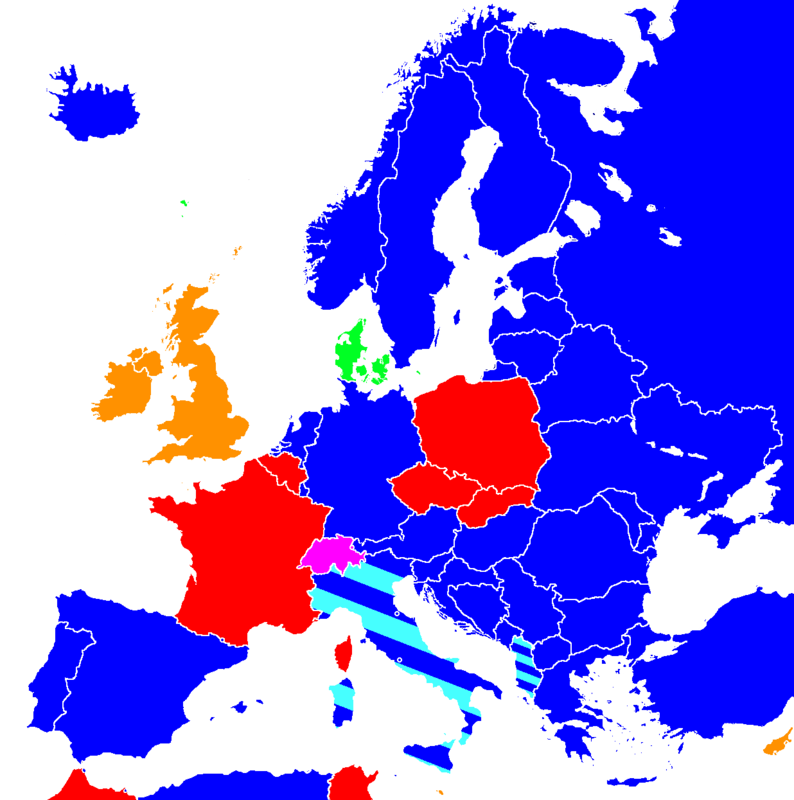 All countries in blue use the standard European Schuko socket for which you need just the European Schuko adaptor, available in both Standard and Compact formats.. If the UMC lights up red when plugged in, it could be due to the live and neutral wires which appear inverted. Simply plug the Schuko the other way around in the socket. France, Belgium, Poland, Czech Republic and Slovakia use a modified Schuko adaptor where the earth pin protrudes, offset from the middle. This means that if the phase and neutral are wired the “wrong” way around, you won’t be able to insert the Schuko adaptor the other way up and the UMC will refuse to charge the car. 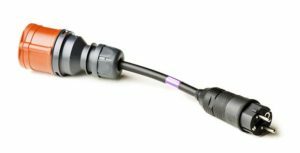 As a result, in addition to the standard European Schuko adaptor, you’ll also need to use our phase inversion adaptor, either available in Schuko-specific, Standard and Compact versions (the latter two can also be used it with the 16A blue single-phase commando sockets commonly found on camping sites and marinas). In Italy, you can use the Schuko adaptor in the “Bipasso” sockets commonly found which are like a Schuko socket but also have a centre hole for earth. These are commonly found across the country. There might be occasions however when the Bipasso sockets aren’t available in which case you’ll need dedicated Italian plug adaptors because whilst the Schuko would plug into it, there won’t be an earth connection. 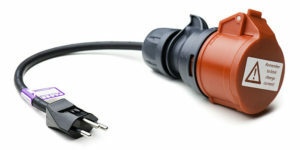 Two different sizes exist: a 10A and a 16A plug (technical designation is CEI 23-50 S11 and CEI 23-50 S17 respectively). We have adaptors for both: 16A Compact, 10A Compact, 16A Standard and 10A Standard. The Swiss also have their own type of plugs which are slightly different. 16A and 10A versions exist, each in both single phase and three-phase variants. All four types are available in both formats. The Danish standard socket is similar to the French one with the earth offset, however, the socket has a hole for it instead of the protruding pin found on the French version. If you will be travelling to Denmark, we have a 16A single-phase adaptor available in both Compact and Standard versions. A 16A three-phase adaptor also exists, again available in Compact and Standard formats. For the UK and ROI, simply use the 13A UK plug adaptor, remembering to limit the charging current to 10-13A. Available in Compact and Standard formats. You’ll also likely need an extension lead. 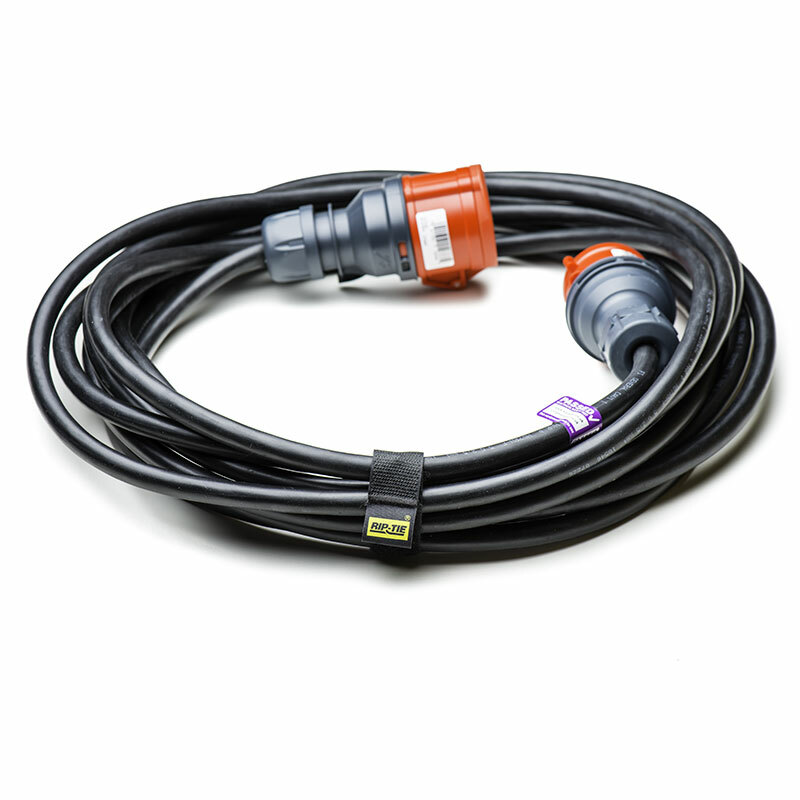 All of our Standard leads are 16A three-phase leads fitted with IEC 30609 industrial power plugs and sockets. The plug goes into the socket of your adaptor mentioned above. The UMC goes then plugs into the end of the extension lead. 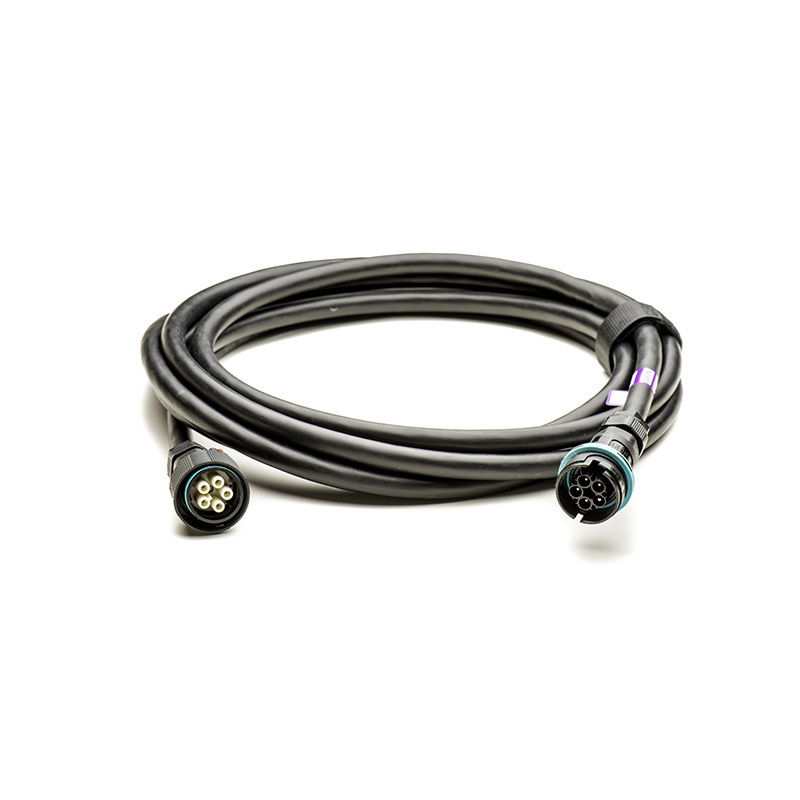 Our compact range uses a much smaller connector which then interfaces with the UMC via a Compact UMC adaptor. It is important that any extension leads coiled on a roll are unrolled before plugging in. A coiled or tightly packed lead will cause heat build up and can potentially start a fire. We have three standard lengths available: 5m, 10m and 20m as well as any specific custom length you might require. It’s possible to plug one extension lead into another to make a longer lead. The 5m lead provided as part of our bundles allow you to extend the UMC’s reach by a further 5m. Additional leads can be added in 5m, 10m, 15m and 20m lengths. We wouldn’t recommend exceeding a total of 30m length though. With the Standard range, another requirement for requiring two extension leads would be when you use the single or three-phase “letterbox” adaptors. The Compact range is small enough to fit natively through most letterboxes. 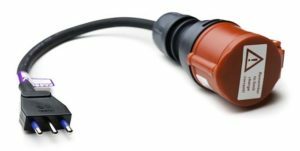 Finally, you need the Tesla 3-phase 16A red adaptor for the UMC. This is something we are not in a position to provide for the moment, you must order this from Tesla direct. £75 + VAT, £90 inc. VAT (January 2017). If you are using our Compact range, you’ll require a Compact UMC adaptor. All our products are available from the Shop. In addition to individual items, we have created multi-item bundle packages in both Compact and Standard configurations where you can pick and choose the adaptors you require whilst saving compared to buying each item individually.